Yay! 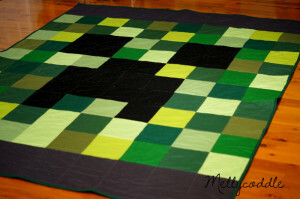 I finally completed the Minecraft Creeper quilt for my son who turned 13 years old recently. I wanted something quick and easy to sew up so I made the Creeper quilt with large 7″ squares. 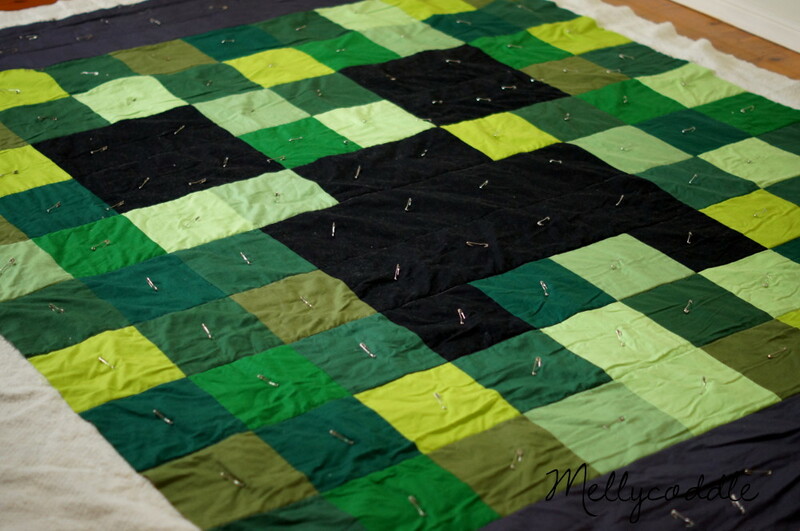 To make the quilt more rectangle in shape, I added 10″ dark grey border to the top and bottom of the quilt. LOL I think I made it too big as it’s a little big for his single sized bed! Plenty for him to wrap himself in, right :). 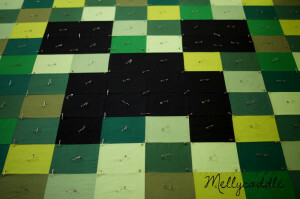 Below are some pics of the last stages of making this Creeper quilt. Not sure why but the black fabric attracted all the fluff from the batting!! 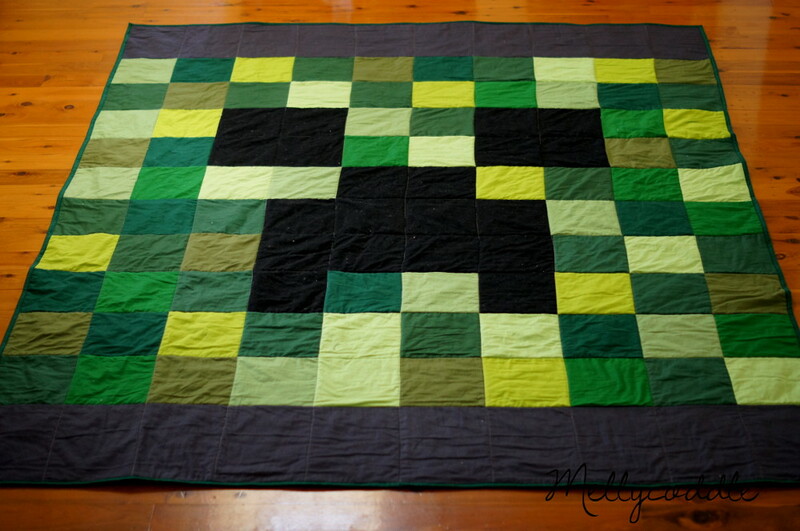 Creeper quilt have since been washed, fluff brushed off and gifted to my son. My son loves the quilt and started using it straight away :). 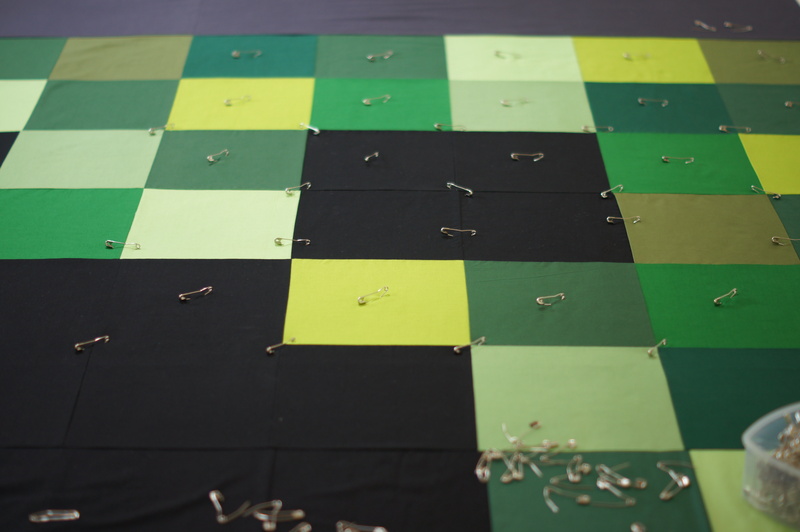 Linking up with Sew Cute at Blossom Heart Quilts (6th Jan 2015) and TGIFF at Quilt Matters (9th Jan 2015). Thanks Myintzu :). It’s a wonderful online building game for the kids to play :). What a fun quilt! 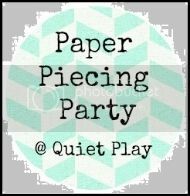 Any 13+ boy would love this one! Thanks Jayne :). It was fun to sew up :). So cool! I showed it to my kids too and they loved it! So glad you linked up to TGIFF! Thank you and thanks for visiting my blog :).